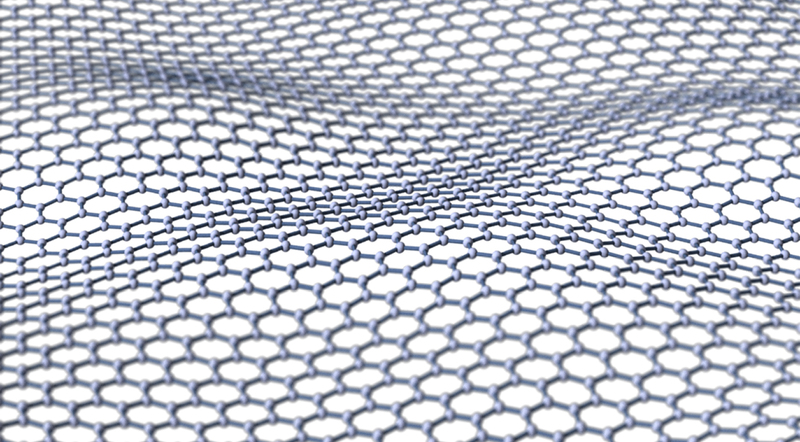 A team from UCL are working with UCLB to commercialise a radical new material – graphene. Professor Neal Skipper, Dr Emily Milner and Visiting Research Fellow Dr Chris Howard along with Professor Milo Shaffer from Imperial College have invented a revolutionary new method for producing graphene, a process for which UCLB has filed a patent application. Just one atom thick, the honeycomb-shaped material has several remarkable properties combining mechanical toughness with superior electrical and thermal conductivity. It’s the thinnest, strongest material we know of – 100 times stronger than steel, a sheet of graphene as thin as clingfilm could hold the weight of a car. It conducts electricity and heat better than copper, and it’s almost 100 per cent transparent. Currently applications remain dreams rather than reality because there is no way to mass-produce graphene. A process to do so could potentially be worth billions, and is a prize which UCL researchers are pursuing with vigour – and which UCLB is helping to commercially exploit. Dr Tim Fishlock, Senior Business Manager for Physical Science and Engineering at UCLB, said: “The discovery of graphene is one of the most exciting in the physical sciences for many years, and UCL is at the forefront of on-going research to explore ways that we can produce and work with this revolutionary material. Read more about how research on graphene is developing, and Dr Chris Howard’s perspective on the place of the UK in the global race to exploit it, in a recent Big Issue article.